Bring a friend to enjoy the traditional meal and help provide food, housing, education and healthcare for the 2000 Tibetan monks living and working at Drepung Gomang Monastery in southern India. Enjoy the traditional meal and help provide food, housing, education and healthcare for the 2000 Tibetan monks living and working at Drepung Gomang Monastery in southern India. This delicious Tibetan meal and experience begins with a Tashi Shoelpa dance for luck. Then enjoy kaptse appetizers, beef or veggie momos, ping soup (vegetable with rice noodle soup) with traditional tingmo (homemade steamed rolls), Tibetan salad, ending with dessert – all created by our visiting tour monks. 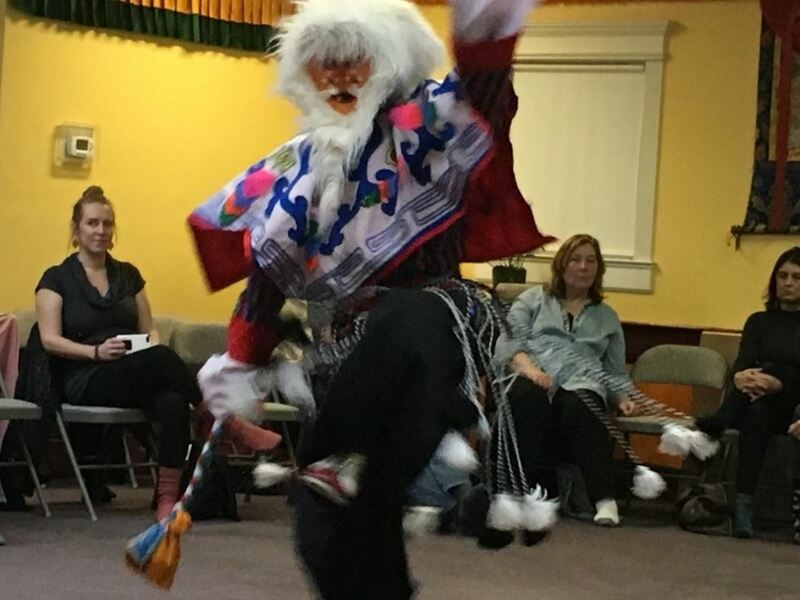 Learn more about Tibet and experience a brief cultural performance. Vegan and gluten free options available. Tibetan style merchandise for sale. $30 for one, $50 for two. Registration Required! Sign up here, by visiting the center, or you may pay by phone at 502-614-5616.